After the success of “Babel Probe,” Drabblecast editor Norm Sherman commissioned me to write something for an upcoming Lovecraft-themed podcast. He asked for something Lovecraftian in feel but not necessarily part of the Lovecraft mythos. 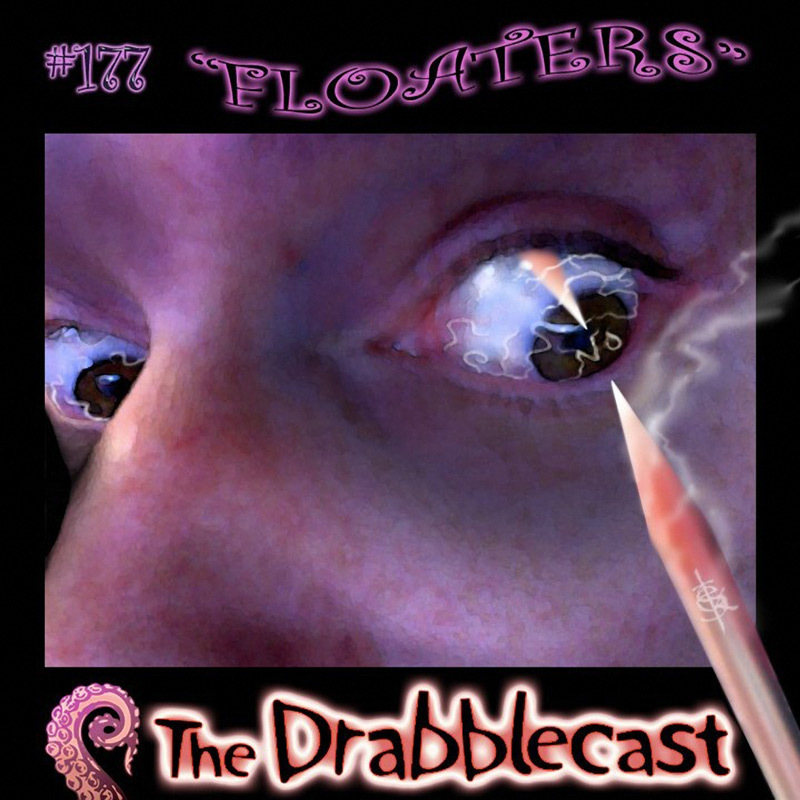 At about this time I had fairly recently begun noticing “floaters” in my eyes. If you read this, or listen to it, and get completely creeped out… don’t say you weren’t warned. It started on a sunny spring day. One of those days, rare in the Pacific Northwest, when there isn’t a cloud in the sky — a beautiful pale cerulean blue from horizon to horizon, with not even a contrail to mar its purity. It might have been the first time in six months I’d stepped off my porch without a hat, coat, or umbrella. I grinned and raised my face to the sun. That’s when I saw it. A thing — no, not even a thing, just an impression of a thing; a momentary imperfection in that seamless blue — that teased at the edge of my vision. My eye flicked toward it, but it either whipped away faster than the eye could follow or it hadn’t really been there to begin with.